Aviation Day is a professional holiday celebrated in the Slovenian Armed Forces on August 2. 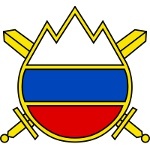 It honors the personnel of the Slovenian Air Force and Air Defense (Brigada zračne obrambe in letalstva Slovenske vojske, BRZOL). In most countries, the Air Force is a separate branch of the Armed Forces. In Slovenia, however, the Air Force and Air Defense Brigade is considered part of the army and not an independent branch. Its main task is secure the sovereignty of the country’s air space and to provide air support to other services in performing their tasks in joint operations. The Air Force and Air Defense is responsible for the inspection and control of the air space security. It also provides help in the liquidation of the consequences of natural and technological disasters and search and rescue operations, as well as participates in international missions and operations. Aviation Day in the Slovenian Armed Forces is celebrated on August 2 because on this day in 1893 King Alexander I of Serbia, also known as Aleksandar Obrenović, ordered the establishment of an aviation department in each division of the army. The celebration includes ceremonies involving the Minister of Defense and other officials. The main ceremony takes place at the Batajnica Air Base located near Belgrade.